In the days when glass was expensive and difficult to get, a cheaper alternative had to be sought . Whilst there is little evidence who designed the first shutters it would appear that cavemen were aware of a need to block out the light and keep in the warmth and historians have discovered caves where large boulders have been used to ensure warmth and security from wild animals. Traditional window shutters started to appear in Tudor times some 500 years ago. As wood was plentiful crude shapes where formed and attached to windows and were regarded as a luxury. By the 1700s glass was becoming much more available but the wooden shutters remained a more popular choice as they provided privacy and warmth, keeping out the elements and acting as a natural insulation from noise. 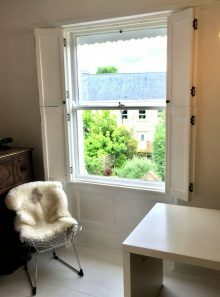 Wooden shutters were installed on the inside of the windows for ease of use as house walls were incredibly thick which made reaching for external shutters very difficult when opening. 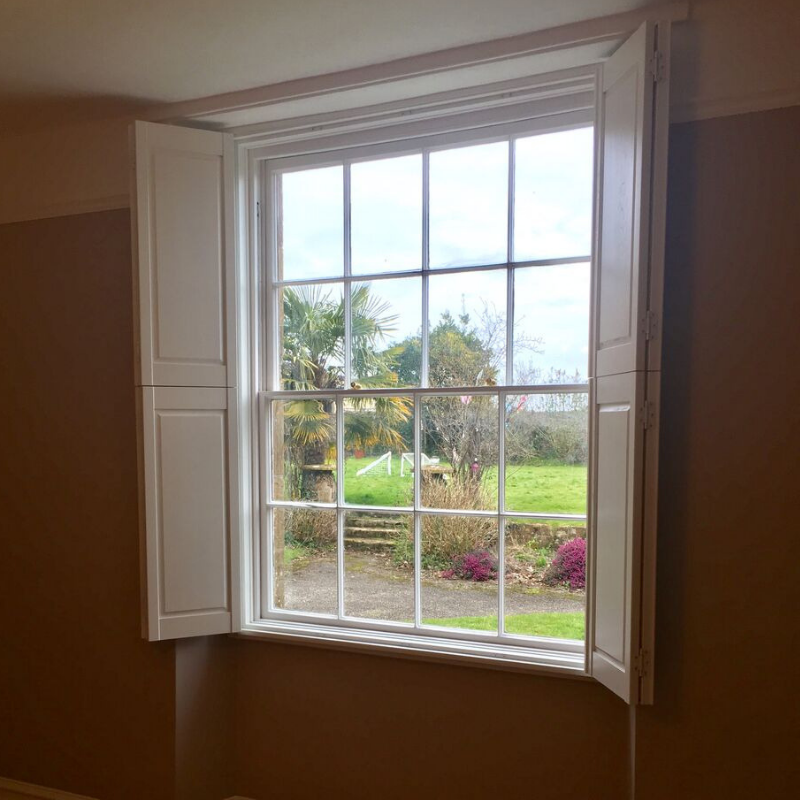 Even though it is centuries old technology we are still benefiting from traditional window shutters today. The styling and advancement in production methods and quality has advanced immeasurably, but the concept of light control, insulation, privacy, security and natural noise insulation still remain today. Solid wooden shutters remain a stunning design statement and can help transform a period property back to its former glory or help create a look of timeless elegance in a more modern home. With solid wooden panels you open or close the whole panel allowing light in during the day but shutting at night for privacy and to keep out any outside light that might stop you from sleeping, making them ideal for bedrooms. 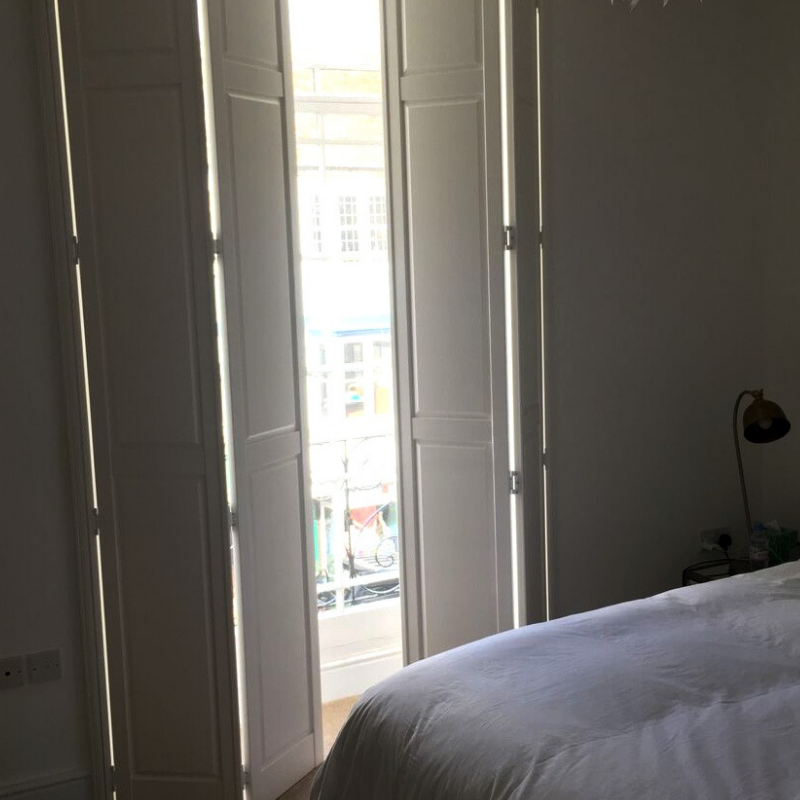 Our solid wooden shutters can be designed “Tier on Tier” making it possible to have bottom panels closed and top ones open, or visa versa, giving a more flexible use for privacy and light as needed. 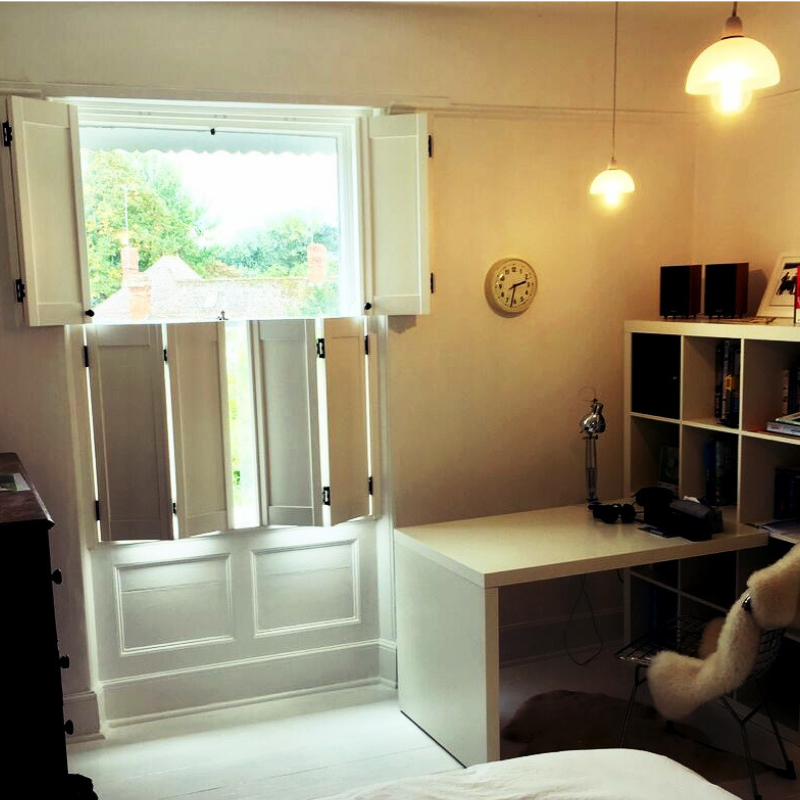 Solid wooden shutters offer visual simplicity, a classic look and a practical solution to a centuries old problem.